Use a wireless remote or your smartphone to control this fully adjustable queen base with USB charging and timed massage features. 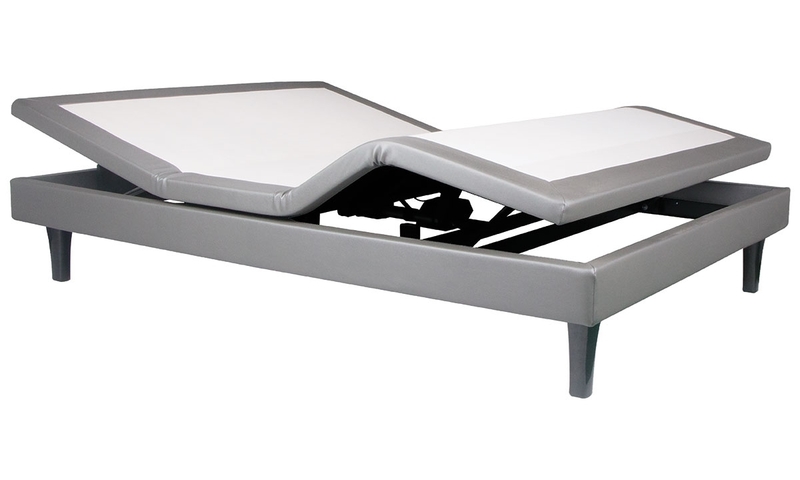 Make your luxury Serta® mattress do more for you with the Motion Perfect® power adjustable king base. Its wireless backlit remote controls a full range of head and foot adjustments powered by Silent Drive™ high-performance motors, as well as whisper-quiet timed massage options in six different intensities. Three programmable presets make it easy to return to your favorite positions for reading, watching TV and more, while one touch moves the base into pressure-relieving ZERO-G® mode. Stow the remote control on the included magnetic strip and use your smartphone or tablet to control this king size adjustable in real time via Bluetooth. Built-in USB ports on both sides will ensure your devices stay charged, while a MegaFit™ hook and loop retainer will keep your mattress securely in place atop this power base.